Crewe vs Crawley Town predictions as they meet in League Two this weekend. Which of these out of form sides will be able to bounce back with three points on Saturday? Read on for our preview of the match and all our free betting tips below. At this stage of the season the fixture list can throw up plenty of fixtures in which there is little left to play for and, with less pressure on the game, this can tend to result in dull games. 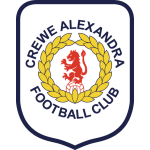 This weekend’s clash between Crewe Alexandra and Crawley Town may feature two sides who are yet to 100% secure their league survival, but it does have a whiff of a dead rubber about it. Crewe Alexandra ended a run of three successive defeats with a point from a 0-0 draw at Cambridge United on Tuesday night. The Alex have pulled away from the bottom two prior to that poor run of form and the fact that they now have a 15 point gap over the drop zone suggests that only something remarkable would see them playing National League football next season. A major part of Crewe’s recent dip in form is as a result of their lack of ability to find the back of the net and they go into this contest having failed to score in each of their last three contests. 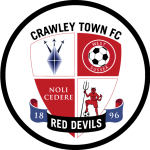 Crawley Town’s season has faded away badly, with just one win in their last seven League Two games seeing them drop to 18th position. Unlike their hosts, Crawley’s position in the Football League for next season is yet to be made certain and they hold an 11 point lead over the bottom two. The visitors hopes of stepping towards safety this weekend is also unlikely as their form has been simply awful on the road, and Town have managed to win just one of their last 16 matches away from home. Although both sides have yet to guarantee their spot in the division for next season, both sides will go into this match pretty confident that they already have enough points on the board. A combination of this clash being a bit of a dead rubber combined with the fact that neither side is in particularly good form in front of goal, leads us to believe that backing there to be under 2.5 goals scored represents the best opportunity for a decent return. Crewe have failed to score in each of their last three outings. Crewe have failed to win their last five matches. Crawley have scored just five times in their last 10 outings. Crawley have won just one of their last 16 away matches.